Recognized and trusted by Filipino homemakers and mothers nationwide, Knorr commemorates its 175th year, by paving the way for more and more women to express their passion through cooking, through the Knorr Kitchenhood Clinics. 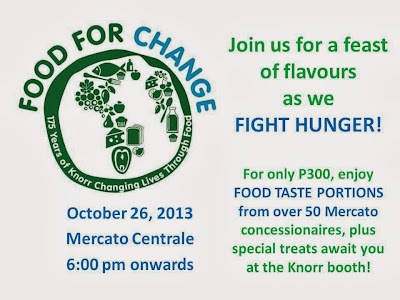 The brand culminates the Kitchenhood movement by partnering with the World Food Program (WFP) for the Food For Change event – a unique food fair at the Mercato Centrale in Fort Bonifacio Global City where foodies and cooking aficionados can enjoy tasting samples cooked with Knorr from no less than 50 participating food concessionaires. This event aims to help increase awareness on the alarming issues of global hunger. Total proceeds generated from the ticket sales will be matched by Knorr and donated to the WFP. 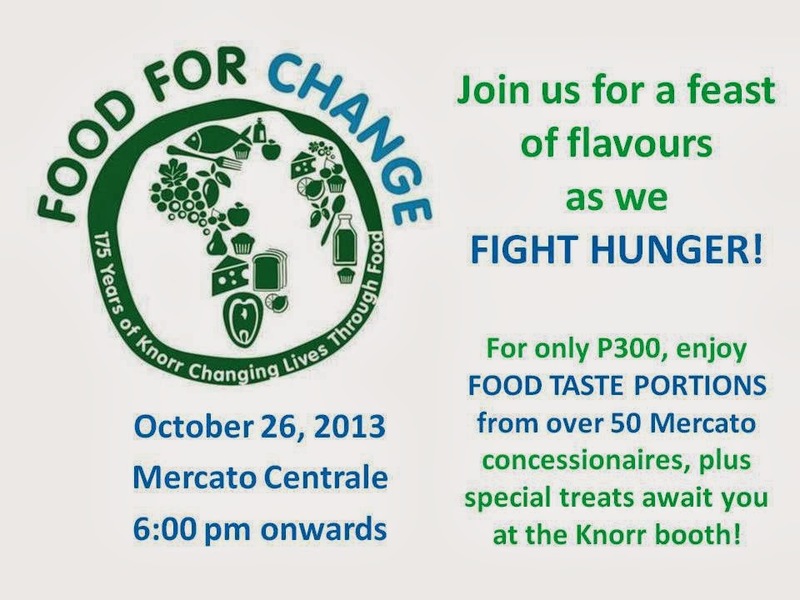 Tickets are at P300, and remember all ticket sales with be matched by Knorr and will be donated to the WFP. Enjoy a night of great food and in return helping fight hunger as well. See Sari Jorge and Marvin Agustin do some cooking demos for us to enjoy. For more information, please visit http://www.unilever.com/aboutus/foundation/wfp/ and www.ufs.com.